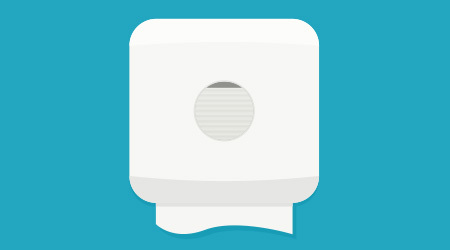 It’s a simple request from employees to employers – please stock workplace restrooms with air freshener. According to a survey by Bradley Corporation, air freshener is the No. 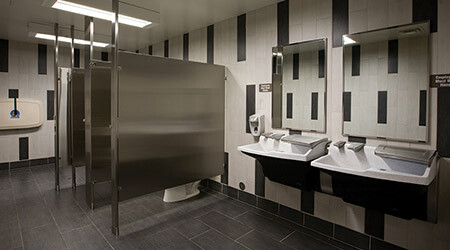 1 amenity workers would like to have added to their workplace restroom, followed by touchless fixtures and hand sanitizer. Those items stand to reason since 42 percent of workers say they’ve had unpleasant experiences in their workplace restroom. What have they encountered? Workers most often cite clogged and unflushed toilets, unpleasant smells, paper towels on the floor and restrooms that are old, dirty and unkempt. The survey also found that, unfortunately, many workers aren’t diligent about washing their hands after using the restroom. More than half (56 percent) report they frequently or occasionally see colleagues depart without sudsing up. However, it seems to be a gender issue since 63 percent of men frequently or occasionally observe non-washing behavior compared to 49 percent of women. One thing men and women agree on is avoiding a sick colleague’s germs. Overall, 81 percent say they take conscious steps to evade a coworker who’s ill. To mitigate their exposure, they steer clear of the sick individual, wash their hands more frequently and refrain from shaking that person’s hand. As the cold and flu season approaches, handwashing continues to be Americans’ first defense against illness. Sixty-one percent say they wash their hands more frequently to remove germs they may have come in contact with or to avoid passing them along to others. Fifty-six percent stay home when they are sick and 50 percent sneeze into the crook of their elbow. Survey respondents also identified germy encounters that they feel necessitate handwashing. It’s a must after coughing, handling a sick child and sneezing. These findings are based on an annual survey by Bradley Corporation, a manufacturer of commercial washroom, emergency safety and industrial solutions. The company has conducted its Healthy Hand Washing Survey since 2009. This annual handwashing survey queried 1,035 American adults online Jan. 2-5, 2018, about their handwashing habits in public restrooms and the workplace as well as their concerns about germs, colds and the flu. Participants were from around the country, were 18 years and older, and were fairly evenly split between men and women (49 and 51 percent).